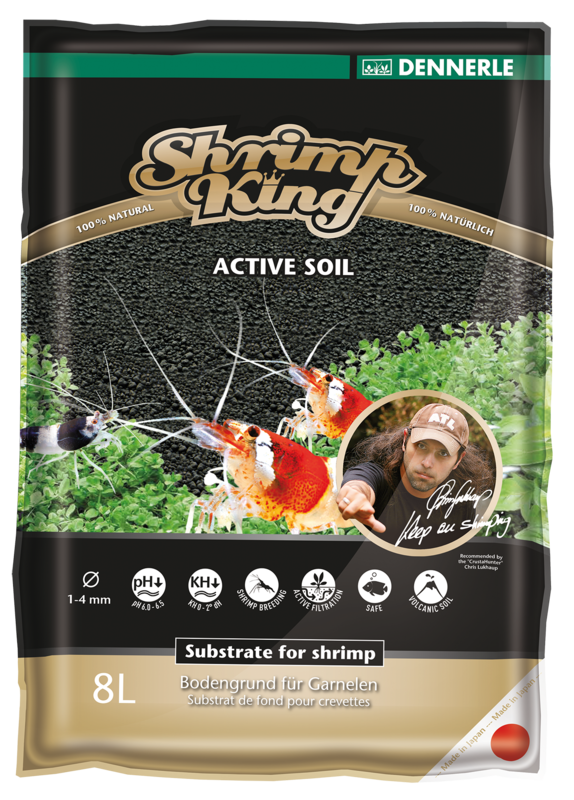 ShrimpKing Active Soil consists of up to 100% natural raw materials. Produced from a variety of carefully selected natural soils, it provides essential minerals and trace elements, which promote the health and growth of shrimps. 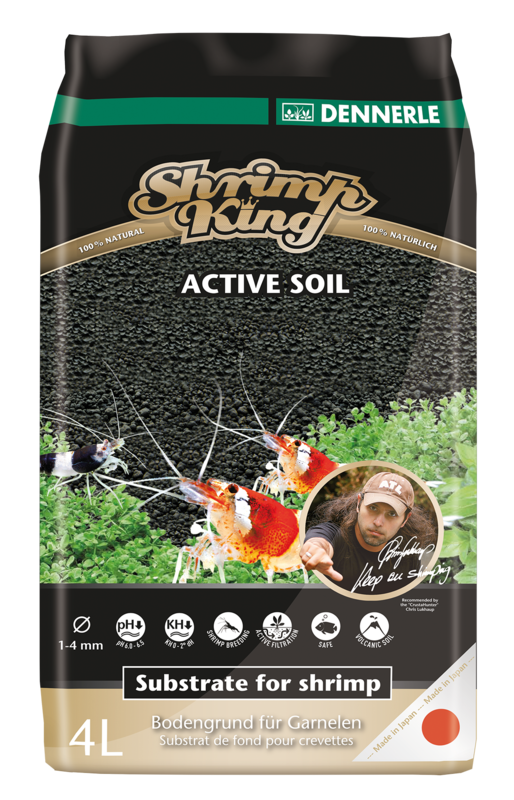 ShrimpKing Active Soil has been developed especially for the successful keeping and breeding of shrimps. It is particularly suited to all species that like soft, slightly acidic water, especially bee shrimps, such as the popular Crystal Red, Red Bee, Tiger Bees and Shadow Shrimp. It adjusts the water to be more like that which soft water species are accustomed to in their natural habitats. As a natural ion exchanger it reduces the pH and stabilises it at a slightly acidic level (approx. pH 6.0-6.5). At the same time it reduces the carbonate hardness – down to close to approx. 0-2 °d CH depending on the water source - and thus makes the water considerably softer. It also serves as a natural source of humic and fulvic acids, without discolouring the water. What do I need to build my substrate system?